The Pakistan Electronic Media Regulatory Authority (Pemra) has imposed a ban on the Ramazan transmission of two private TV channels over violation of the media regulator’s code of conduct by “promoting controversial and sectarian views”. “An immediate ban has been imposed on TV One’s programme Isq-e-Ramazan (hosted by Shabbir Abu Talib) and Aaj News programme Ramazan Hamara Iman (hosted by Hamza Ali Abbasi),” a statement said on Friday. The media regulator directed both TV channels to immediately stop airing the said programmes, failing of which will end up in the removal of their transmissions on cable. It all began with actor and social activist Hamza Ali Abbasi questioning the oppression of Ahmadis during one of his programmes on Aaj TV. This triggered a harsh response from a religious cleric who allegedly threatened Hamza of ‘dire consequences’ in another TV show on TV One. 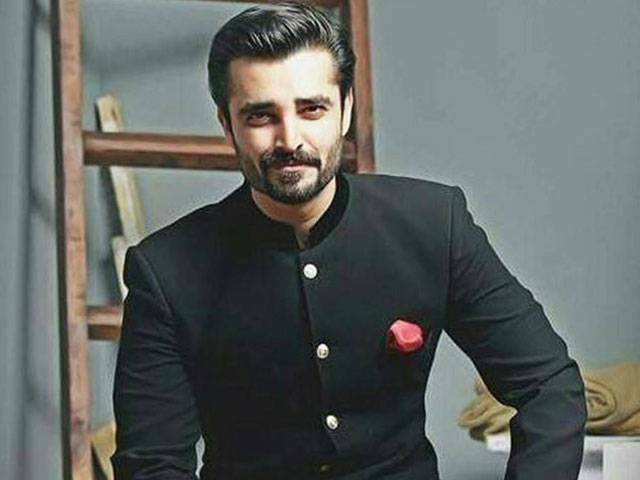 The notice further warned that in case any of the said hosts [Hamza Ali Abbasi & Shabbir Abu Talib] talk about controversial subjects in any programme of other channels, those programmes will also be banned immediately. “Pemra has forwarded this case to its council of complaints in Karachi, which will announce its decision on June 20 after listening to all the parties concerned, who have already been issued notices,” the statement said. The media regulator has, however, allowed the said TV channels to continue their Ramazan transmissions with new hosts until Pemra’s council of complaints announces its decision in the matter. We as Pakistanis have a keen eye on Donald Trump and are vocal for his thoughts against us.But Donald Trump and every Non Muslim Far Right leader is right. This is the true face of Pakistan and Muslims in general. European Far right claim that Muslims are intolerant and they will not allow minorities to thrive. And look we are giving practical examples in this regard. Even do not allow someone to talk on some issue is uncalled and just running away from the reality and nothing else. Why your role is not unbiased? Why you don’t banned the so called Islamic scholar Amir Liaqat over real controversial program. This minorities issue is political. A lay person has not much knowlwdge and background on them. Better stay away and Pemra has done a good thing of keeping Hamza and other gentleman out of it. So don’t create a situation of conflict and let minorities continue to be victimized by oppressed – that surely does not qualify as conflict. There is nothing as a controversial issue. Threatening to kill someone on LIVE TV is a dangerous move and the offender has to be arrested and stand trial. On the other hand asking questions in a civilized manner on pertinent issues is to be welcomed because it enlightens society. I think PEMRA has sent the wrong message by including the victim in the censure. We all know Kokab Norani Sahab, is a very Polite man. Hamza Ali Abbasi’s crime is clear. We are becoming a jahil (illeterate), ignorant and fundamentalist people, breeding intolerant thoughts, thanks to religious inbreeding of Zia Ul Haq regime whose seeds were sown in a free thinking Pakistan in the 1980’s. There is no place in Pakistan anymore for humane, intellectual, open minded people who can live peacefully & non-violently like the rest of the civilised world lives. We the Muslims of Pakistan are strong enough to bear the hue and cry of Ramzan Transmission anchored by ladies like Sadia IMam and Maya Khan where men like Qutub sitting on a chair watching them as a tamasha… there is no empirical school of thought and calmness in a program that louds on Air at high transmission timings. This is the time when rozadar audiences wait for a serene yet thought provoking voice from Community. The PPEMRA should know that when a women can scream than some one can also voice about those who are not heard . Please take actions and not reaction. He was not asking about weather they are Muslims or not , he was asking about the fact that they are being oppressed and being killed. Isnt that something to ask ? Pakistan has no problem with minorities and vice versa. Issues of relationships between various socio-cultural groups is part of communal living. It is State’s responsibility to strike a right balance between freedom and responsibility. Pemra / State was right in constraining Hamza and stopping him from unnecessary controversy. He is a showman and there is strong possibility he was influenced from somewhere to take this sensitive issues in the month of Ramadhan. 1 – When was PEMRA formed? 1 (a) – Who does PEMRA reports to ? 1 (a) (i) – Who selects the PEMRA human resource ? 1 (a) (i-i) – Who are in PEMRA decision making body ? 1 (a) (i-ii) – What are their criteria of selecting PEMRA decision making body ? 2 – What is the mission and vision of PEMRA ? 2 (a) – What are their code of conduct ? 2 (a) (i) – What principles do they follow, if they do, for their job ? 2 (a) (i-i) – Who regulates them, for their irregularities ? 2 (a) (i-ii) – Who tells them what to do and what not to ?